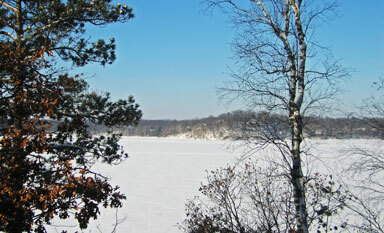 December 24, 2008: It was a sunny day overlooking Sylvan Lake, which is near Gilbert Lake in Central Minnesota. 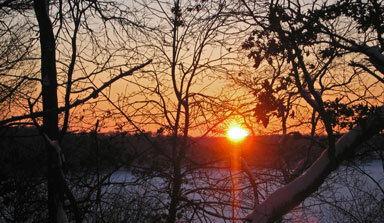 The sunset was equally well liked. Relatives gathered at Mom's place for a Christmas eve celebration. When what to our wondering eyes should appear, but Santa himself. 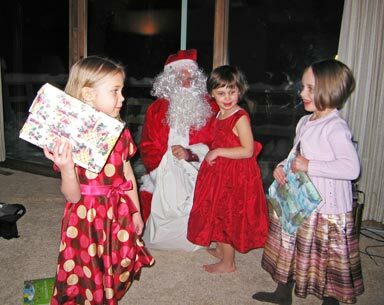 He gave presents to the girls and others who were thrilled to see the jolly-old-elf. 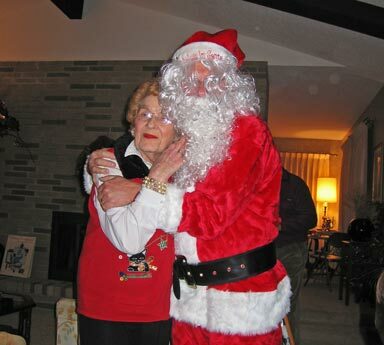 Santa even gave Grandma June a big hug. 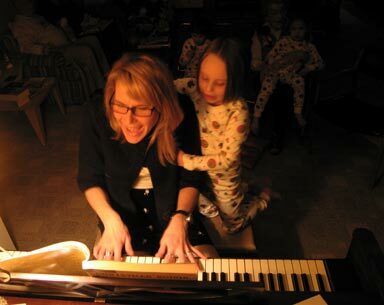 Lori Heit played the piano for a good old-fashioned Christmas sing-along. 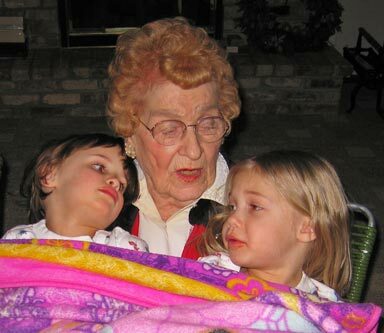 Grandma June, or in this case Great Grandma June, kept two of the girls warm too. 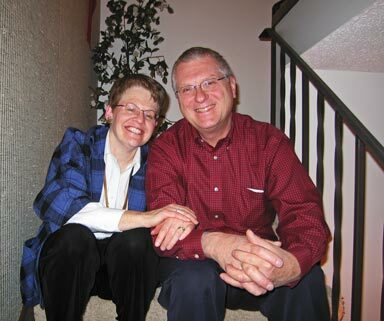 Paula and Mark were there to be a part of the festivities. A fun time was had by all.